The Christmas lights are up, the snow is falling, and pretty soon we'll be waking up early to de-ice our windshields and salt the sidewalk. As much as we hate to admit it (except Jen, because she is actually a crazy winter lover), the chilly winter weather is fast approaching. Don't get stuck fumbling for your keys in the bitter cold, or shivering as you try to drive your car with the ice cold steering wheel! 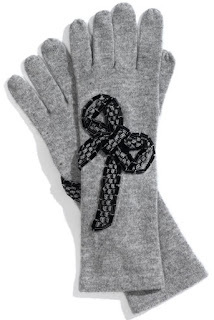 Keep your digits free from frigid temps with a warm and soft pair of gloves or mittens. Know someone who needs a little warming up? A great pair of gloves or mittens can be really handy (pun intended) and would make a really cute gift or stocking stuffer this holiday season. And, speaking of gifts, don't forget to comment on today's post for another chance to win a prize during our 12 Days of Christmas Gift Promotion!! Black and elegant, these gloves from Anthropologie are the perfect pair to shield your fingers from the winter chill. The pearl and jewel embellishments are very retro chic, perfect for your dressier occasions or if you're just feeling fancy. 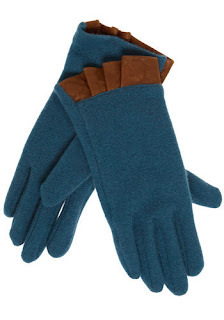 These teal gloves from Modcloth are bright and fuzzy, perfect for keeping your hands warm and dry on a brisk winter morning. Plus, not only are the lightweight and practical, they are adorable with their sweet ruffle detail on the cuff. 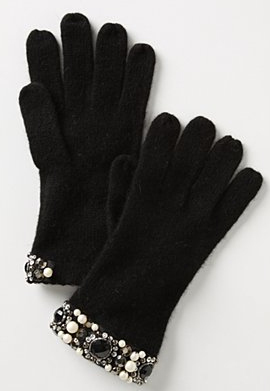 Beads and bows are just so classically girly that we can't help but adore these Milly gloves. 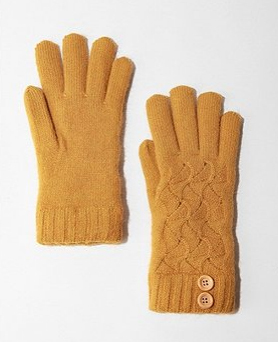 Available in 3 colors, these wool gloves are as warm as they are charming! Also, bows kind of remind us of Christmas, and, well..if the glove fits.. Send a text or keep your fingers? Is this what our world has come to with the advent of the iphone and the touch screen? Well, lucky for you, we just might have found a stylish solution. 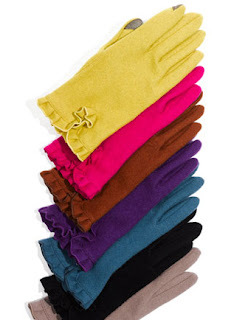 Avoid the risk of frostbite with these dainty and super colorful gloves. These pretty gloves are fashion friendly and have a special touch pad on the thumb and ring finger so you'll never have text while glove-less again! These cute knit gloves from Urban Outfitters remind us childhood fun with their bright gold color and bit of sparkly glitter. 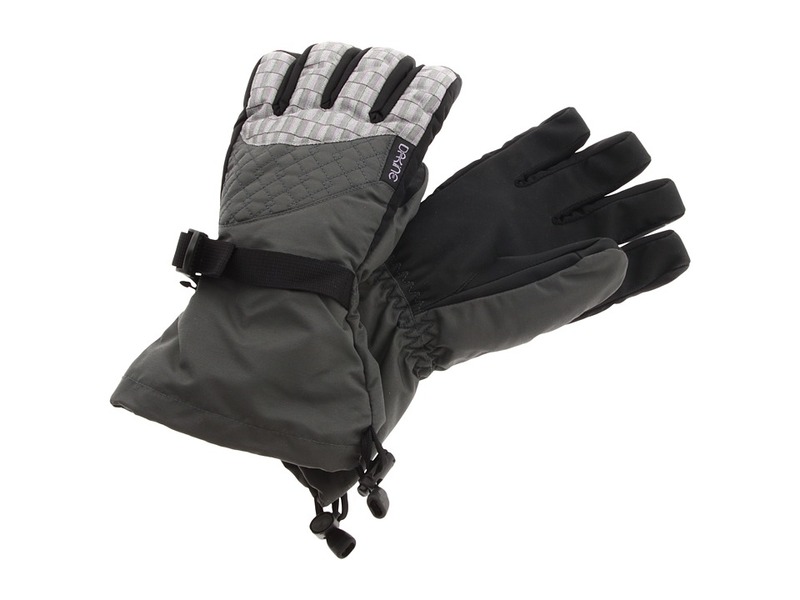 Best of all, these gloves are super thick and warm, with a furry lining to keep your fingers extra cozy. Let the snowball fights begin! 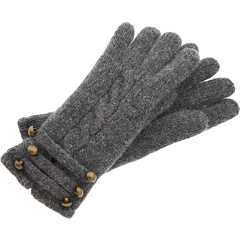 You'll be saluting in style with these gray military inspired gloves. 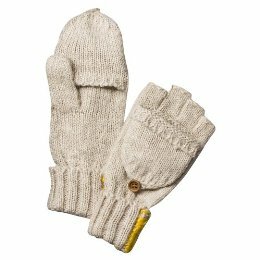 The gray cable knit pattern is classic and understated, but the three rows and gold buttons give these gloves just the right amount of personality that we think will pair perfectly with some black boots and your navy blue pea coat. Planning ahead for some serious blizzards? We suggest a great pair of gloves like these by Dakine. Sure, they may be bulky and unattractive, but gloves made for winter sports are waterproof and are particularly designed to keep your hands completely warm and dry for hours! And, finally, is it a glove? a mitten? It's both! The perfect marriage of glove and mitten, the "glitten" gives you the dexterity of gloves and the warmth of mittens all in one. Target seems to have the largest variety of colors and styles, but you can really find a pair of these pretty much anywhere these days. I'm a fan of the modcloth gloves - love the ruffles! Glittens! I still <3 them as much as I did senior year of high school. The gloves with the touch-screen pads are really cool too...and I love how the military ones look! I love the gloves with the bow graphic--it's like the slightly grown up answer to the little girl in mommy's high heels. Good picks! I'm obsessed with military inspired fashion. I might have to buy those gloves. Thanks for giving me a new shopping site to spend time onwhen I'm at work! Only gloves like the ones by Dakine for me! Cute gloves are completely ineffective during Wisconsin winters. i like the military ones...coulda used them this weekend in west virginia! Carhartt Men's Work Glove If you need gloves to work in outside garden and yard area, then don’t use other gloves. Make sure you have Carhartt gloves. I think it is a nice gift for Chrismas. Last year we gave the Nose Warmer it was very funny lol. The Twelfth Day of Christmas Winner! The Eleventh Day of Christmas Winner! The Tenth Day of Christmas Winner! The Ninth Day of Christmas Winner! The Seventh Day of Christmas Winner! The Sixth Day of Christmas Winner! The Fifth Day of Christmas Winner! The Fourth Day of Christmas Winner! The Third Day of Christmas Winner! The Second Day of Christmas Winner!